Starting a game in St. Louis is difficult. Toeing the rubber successfully against the Cardinals in the team’s home opener is nearly impossible. 22-year-old Nick Margevicius once again proved that like a fellow left-handed pitcher, Eric Lauer, he has ice-water running through his veins. Nothing gets Margevicius rattled while on the mound. If you ask him, it’s the same game he has played most of his life. He never allows the game to get too big for him. “He executed his game plan very well,” Andy Green said after the game. The Padres realized this early in the spring, and that is why he is with the team despite only starting one game over the Single-A level. 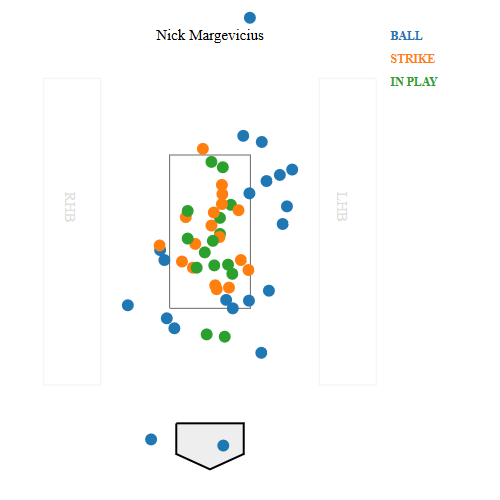 Margevicius went five innings, only allowing a single hit which left the ballpark off the bat of Paul Dejong. Margevicius hung a slider, and the shortstop took advantage of it. The left-handed pitcher only took 54 pitches to get through five innings, but was lifted for pinch hitter Hunter Renfroe in the 6th. 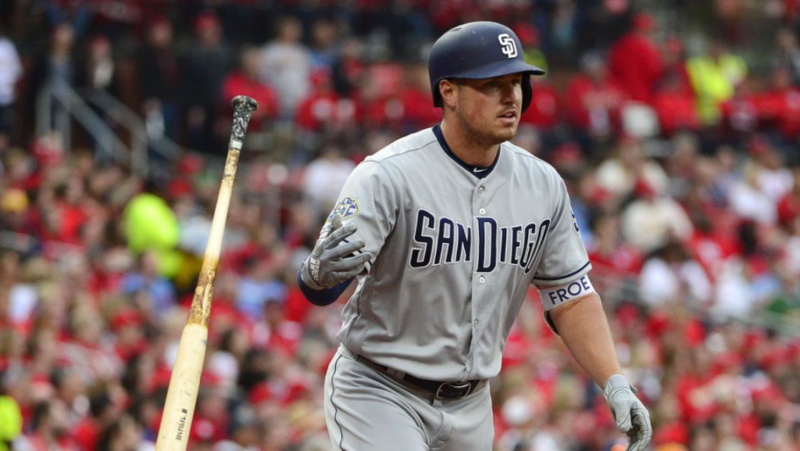 Renfroe deposited a fastball into the left-field seats to put the Padres up 2-0. Here is a video of that swing. The Padres were able to add on later in the game as Fernando Tatis Jr. hit his second home run of the season. Tatis jumped on a 96 mph fastball out of the hand of Alex Reyes in the 7th inning to put the Padres up 5-2. Robert Stock, Craig Stammen, Trey Wingenter, and Kirby Yates finished the game off for the Friars. Only Wingenter and Stock allowed a run, as Marcell Ozuna got an RBI single off of Stock in the 6th inning while Paul Goldschmidt took Wingenter deep in the 8th inning. Yates was perfect in the ninth as he struck out one on seven pitches. With that, the Padres win 5-3 and take game one of the three-game set. The Padres are indeed pleased with the progression of Margevicius. Plenty of soft-contact today from the Cardinals as only three batters put a ball in play over 100 mph. He was all over the plate with his location. Margevicius is not blessed with a tremendous fastball, so he needs to change speeds and hit his spots. Looking at his chart from the game courtesy of Baseball Savant, you will notice some missed call for the lefty on the bottom of the zone. Multiple times during the game, he was squeezed a bit by the home plate umpire. It happens, especially when you are making your second major league start. Margevicius failed to let any “missed calls” rattle him as he worked both sides of the plate. Despite a fastball that sits in the low 90’s, he has no fear in pitching into batters from both sides of the plate. You see plenty of pitches in the heart of the zone that was put in play. He changes speeds well on all his pitches, and you will often see players on their front foot hitting making contact off of him. The art of pitching is complicated, but this rookie has a thirst to get better. Margevicius should make his next start on Wednesday afternoon against the Giants in the finale of a three-game set. Game two of the series will be tomorrow at 11:15 am, as Chris Paddack takes on the Cardinals and will be opposed on the mound by Michael Wacha. The Padres could take the series with a victory. 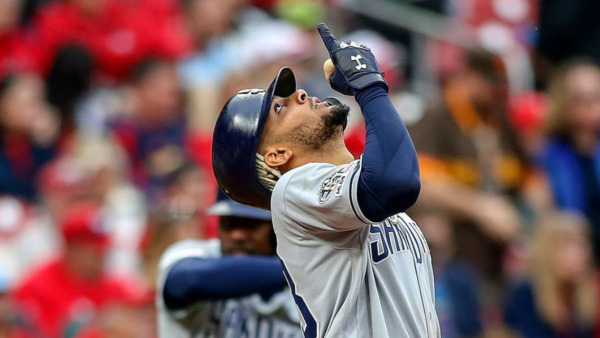 The most interesting thing about Tatis’ 2 HRs is that both came on high fastballs. When a hitter can punish high heat it allows him to control his ABs.